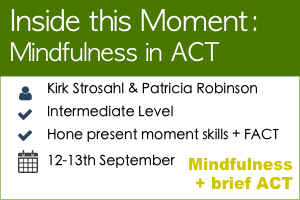 A defining feature of ACT is the use of present moment/mindfulness based interventions to counteract the corrosive effects of emotional avoidance and cognitive fusion. Despite the central role of present moment interventions in ACT, the defining features of such interventions can be elusive and difficult to implement in an impactful way. 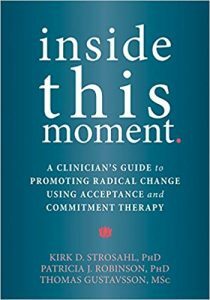 Based on their books, Inside This Moment and Brief Interventions for Radical Change the workshop will focus on working in the present moment to bring alive Focused Acceptance and Commitment Therapy (FACT), with the goal of helping participants develop specific clinical skills that can be applied in practice immediately after the workshop. To set the scene, participants will learn about the three toxic processes, based in human language, that lead to behavioral rigidity and psychological suffering. From here, the three “pillars” of psychological flexibility will then be explored and how these can be used to combat these toxic processes: 1. Building present moment awareness, 2. promoting openness to private experiences and 3. stimulating engagement with valued life activities. The majority of the workshop training will be devoted to demonstrating and practicing specific clinical techniques that allow the participants to focus the clinical conversation, sequence clinical activities and complete powerful single session interventions. This includes, how to create expectancy for rapid change, how to conduct a change oriented interview, how to rapidly engage in case formulation, and how to reformulate or “reframe” the presenting problem so that it seems solvable. Core goal setting experiential exercises such as the Bulls Eye, and Life Path will be demonstrated. We will also examine the application of FACT in groups and classes. Participants will learn how to implement a scientifically derived model of “mindfulness” to increase specific self-reflective cognitive skills. 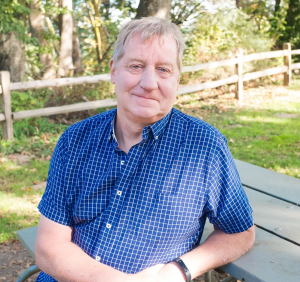 In addition, the workshop will show how to use present moment interventions to create highly effective, portable metaphors that will help clients short-circuit their habitually practiced and over-learned avoidance responses. Teaching methods will involve a combination of didactic lectures, experiential exercises, live clinical demonstrations, guided dyadic skills training and video demonstrations. You will come away with a bundle of extra tools for your therapy toolkit! Kirk and Patricia are dynamic and interesting speakers who, through out the workshop will use a combination mini-lectures, experiential exercises, clinical role plays, guided practice and video demonstrations. Don’t miss out on this rare opportunity to see two world experts in ACT present their powerful and innovative model. 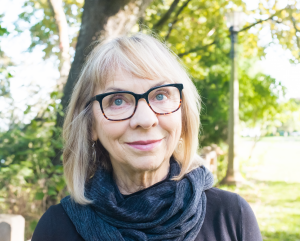 Patricia has promoted use of Acceptance and Commitment Therapy in medical settings for over 30 years has been involved in the evolution of ACT since its inception. She is widely regarded as a master clinician specializing in brief applications of ACT. In her career, she has worked as a clinician, researcher, trainer, and health care consultant. She currently trains and consults in the United States, Australia, New Zealand, Argentina and Europe. Her consultation work includes assisting medical systems with integrating behavioral services into the general practice setting and training behavioral and medical providers in Focused Acceptance and Commitment Therapy. She is an author of numerous articles and book chapters and has published eight books, including Real Behavior Change in Primary Care: Improving Patient Outcomes and Increasing Job Satisfaction (Gould & Strosahl as co-authors, 2010) and Behavioral Consultation and Primary Care: A Guide to Integrating Services, 2ndEdition (Reiter as co-authors, 2015). Light refreshments will be provided for morning and afternoon tea, however, lunch is not included in the registration fee.